Chinese tech billionaire Jack Ma’s promise to create 1 million new US jobs is the latest casualty of the trade war. The Alibaba (BABA) chief grabbed attention at the start of last year when he made the highly ambitious pledge following a meeting with Donald Trump, who was president elect at the time. But in an interview published late Wednesday by China’s official news agency, Xinhua, Ma said the waves of new tariffs imposed by Washington and Beijing in recent months have undermined the plan. A spokeswoman for Alibaba, China’s biggest e-commerce company, confirmed Ma’s comments to CNN. Analysts had already expressed serious doubts about the pledge, which Alibaba announced after Trump and Ma met at Trump Tower in New York in January 2017. “Jack and I are going to do some great things,” Trump said at the time. 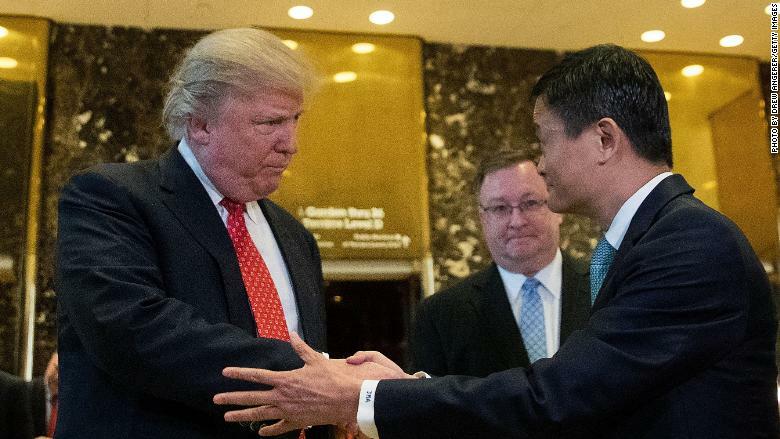 Donald Trump and Jack Ma met in New York in January 2017. Ma’s vague promise wasn’t based on Alibaba investing in the United States to build factories or fulfillment centers. Instead, he talked about stimulating trade by helping American small businesses sell their products to consumers in China and elsewhere in Asia. Alibaba held a big conference in Detroit last year to encourage American small businesses and farmers to sell their products to Chinese consumers through its platforms. The company didn’t immediately respond to a request Thursday for information on how many US jobs those efforts have created so far. A strong advocate of globalization, he has expressed growing fears about the trade war, telling investors earlier this week that it could drag on for as long as 20 years. 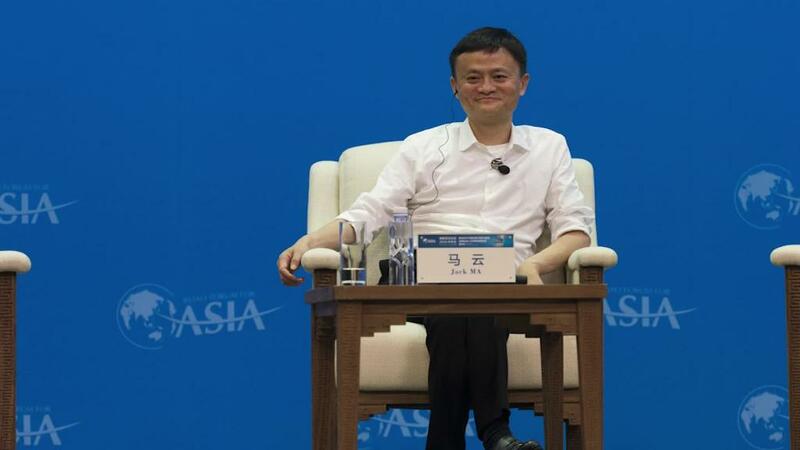 “It’s going to last long, it’s going to be a mess,” Ma said Tuesday in Hangzhou, the city where Alibaba is based. The 54-year-old tycoon, who set up Alibaba in his apartment nearly two decades ago, announced this month that he will step down as executive chairman of the company next year. Daniel Zhang, the current CEO, will succeed him. Ma, a former English teacher, said he wants to return to education. — Yong Xiong and Sherisse Pham contributed to this report.